Here are 8 things you probably didn’t know about Google plus a whole lot more besides. Google’s corporate vision is “to provide access to the world’s information in one click.” The company has been so successful in this endeavor, that the verb “to Google” has become part of our everyday lexicon. Google has almost become a synonym for the internet. Today’s guest post is supplied by Muninder Adavelli, Co-founder and Chief Content Strategist at TechJury.net. The company did some realigning in 2015 and reorganised itself as the conglomerate known as Alphabet Inc, with Google as its main subsidiary. Under this umbrella, you can expect Google to continue developing exciting new IT services but also diversify its interests outside the online space. Aside from its trademark search engine, some of Google’s key services include online advertising technology, cloud computing, and business solutions. As such, the company has a chain of various internet and mobile-related brands such as YouTube, Google Maps, Gmail, Waze, and the Android operating system, just to name a few. The tech giant makes money out of search through advertising. With more than 6.5 billion daily searches, businesses pay hefty just to be on that coveted first page of the search results. 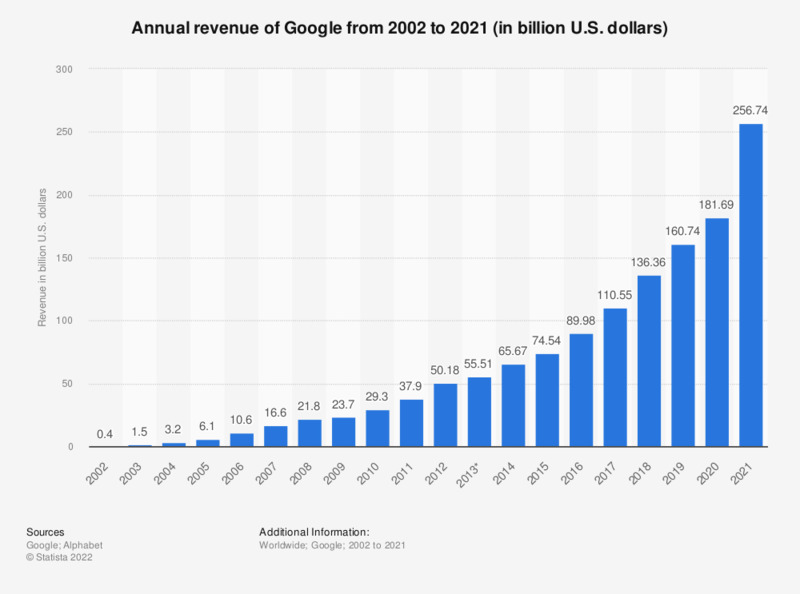 To be more precise, 97% of Google’s revenue comes from search, and in 2018, the company made a hefty $136.22 billion in revenues. Google owns sprawling headquarters in Mountain View, California, with 3.1 million square feet of space. That’s a lot of ground to house various office buildings, learning campuses, subsidiary companies, with plenty more open space to grow. In fact, Google rents some 200 goats to “mow” the weeds and brush around the global HQ. Google is one of the best places to work in the world, with over 85,000 employees housed within its 70 various offices in 50 different countries. Getting in might be a challenge, however, as the company receives 3 million job applications a year and accepts only 7,000. More than the directors and management, the employees bringing home the largest slices of bacon are the software engineers. A senior staff software engineer at Google makes more than half a million ($542,500) a year, even more than a marketing director ($234,000) or group product managers ($253,000). 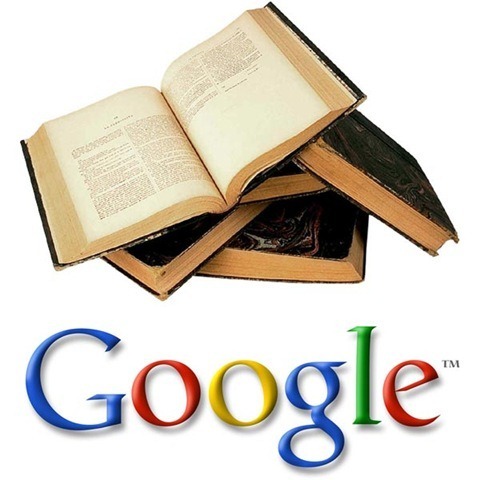 Google takes its information-indexing business very seriously. It intends to scan all known existing 129 million unique books by 2020, making it available for the world to use. 8. What Is Google Investing in Now? Through a number of partnerships, acquisitions, and investments, Google now has interests in renewable energy, mobile technology, hardware, R&D, and artificial intelligence, among others. Calico and Verily are two of Google’s biotech arms, looking not just into health care and life sciences, but into anti-aging as well. Google also has two venture capital groups — GV and CapitalG. At the same time, its spin-off company named Google X is dealing with cutting-edge advances in machine learning, sensor miniaturisation, and wearable tech. Two of the most exciting investments are Waymo (tasked to develop Google’s fleet of driverless cars) and Deepmind (its very own think tank for AI research). Blog Author BIO: Muninder Adavelli, Co-founder and Chief Content Strategist at TechJury.net. Engineer and ardent student of human-computer interfaces, Muninder makes the vital connections between technology and the end user. He always finds the ultimate way to tell the story of software, to highlight its strengths and weaknesses in an accessible way. He often contemplates the dynamic relationship between humanity and technology over a pint of lager, while enjoying some classy classical rock.